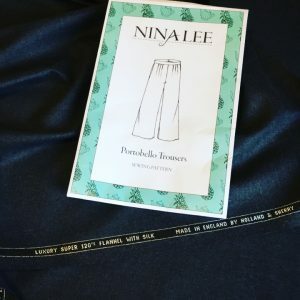 When I was at the Great British Sewing Bee Live a couple of weeks ago, I bought the paper pattern of the Nina Lee Portobello Trousers. I also bought a piece of stunning charcoal grey wool and silk mix suiting from Holland & Sherry and I thought they would be a match made in heaven! 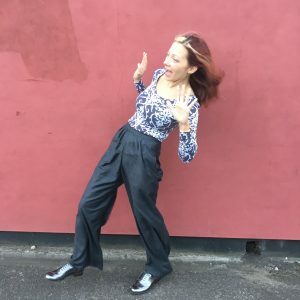 I had spoken to a few local bloggers who had made the trousers before and they advised that they came up on the big size so I made the smaller size, even though I was between sizes. The suiting was an absolute dream to work with. It pressed beautifully and held its shape while still having a lovely drape. 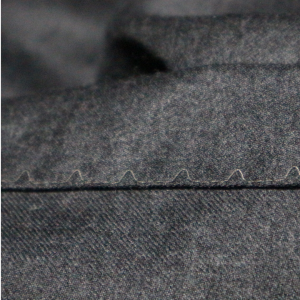 I decided to use some plain grey cotton for the pockets, as I thought it would be less bulky. I understitched them as well to ensure they wouldn’t show on the outside. The darts on the back give a lovely shape and the pleats on the front give a nice bit of interest. 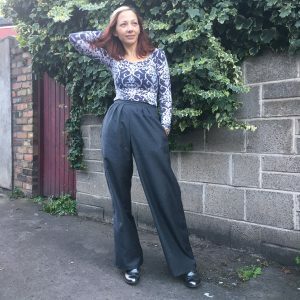 I found the instructions to be really clear and I probably made the trousers in around 4 hours, including cutting out time. 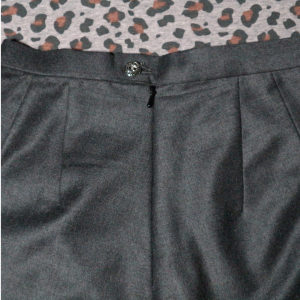 I didn’t have to make any fit adjustments and used a four cm hem. 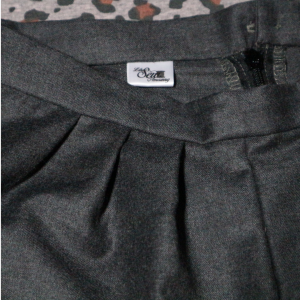 I used my blind hemming foot for the hems as I didn’t want to have any machine stitching on the outside. 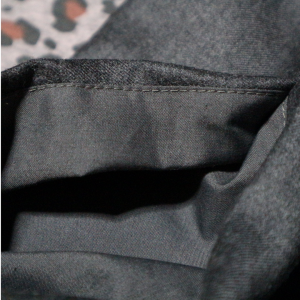 I also hand stitched the waistband facing down for the same reason and I am so glad I did as it gives a beautiful finish. Overall, I am really pleased with them. 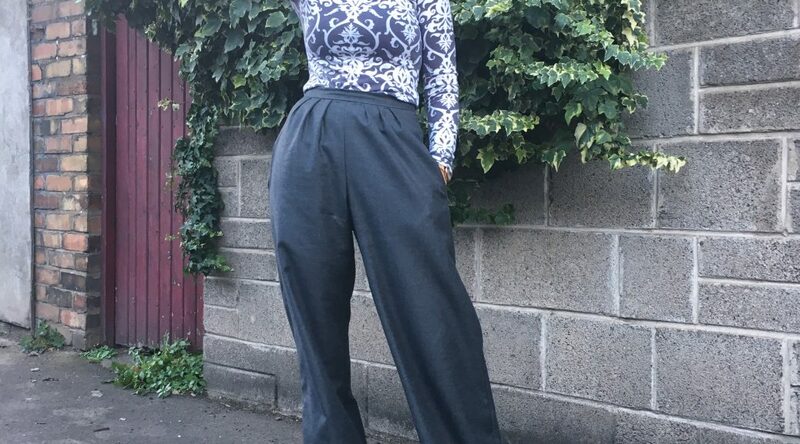 I love the high waist and of course, the pockets! It was a shame that today was so windy so we couldn’t really get any good pictures of them on! 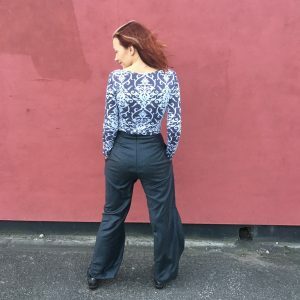 I will definitely make another pair – maybe in a viscose for the summer. Here’s a little outtake from the windy photoshoot!